Do You Feel Phantom Phone Vibrations? Your phone buzzes in your pocket, signaling that a call or a message is coming in, but after looking at your phone you discover there was no call, no message, and no missed calls either. This false buzzing doesn’t indicate that you are going crazy, only that you are a victim to your biological impulses. This phenomenon of feeling your phone buzzing when it’s not is known as Phantom Phone Vibration or vibranxiety, and studies are showing that not only are a wide variety of individuals affected, but that this phenomenon is only growing as we become more dependent on technology. So, what causes the phantom vibrations in the first place? While the verdict is still out, scientifically speaking, many speculate that this is one of the signs of tech anxiety. A tendency to be more technologically or socially anxious; being so dialed in that you are almost afraid to miss a call or message. Reacting emotionally to social stimuli; reacting strongly to texts and emails. Additionally, the older you are, the more likely you’ll be bothered by the phantom vibrations and attempt to stop them. 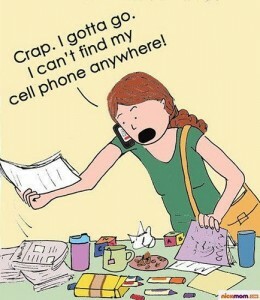 Younger technology users do not appear as disturbed by this phenomenon. So how do you avoid falling victim to Phantom Phone Vibration symptoms? Reduce your dependency on your smart phone, and similar devices. Make sure you take at least a 10 – 15 minute break (or more) for every hour you use your device. Put away your devices in social situations, like when you’re out for dinner with friends, and spend more time connected and engaged in actual conversation and human interaction. Do you experience phantom phone vibrations? How does it affect your life? Leave us a comment and share your experiences. Julie Strier is a freelance writer who enjoys helping you find a balance with your technology. Email: julie@mybusinesswriter.com. Website:www.mybusinesswriter.com. 2 Responses to Do You Feel Phantom Phone Vibrations? The article has truly peaked my interest. I’m going to book mark your blog and keep checking for new details about once a week. I subscribed to your Feed as well.